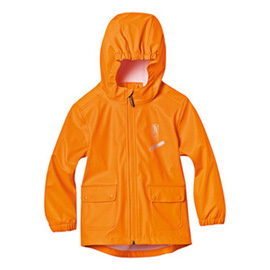 Orange, 100% polyester with polyurethane coating, waterproof. Reflective front print with chainsaw, "ON DUTY" text, and STIHL logo. With heat-sealed seams.